Our coverage of Social Decorum Training this week happened to be with the Cadets from the Class of 2020. In yesterday's class Cadets began to go over the following; Social Standards of Behavior, Appearance and Attire, Dining Etiquette and Social Communication. 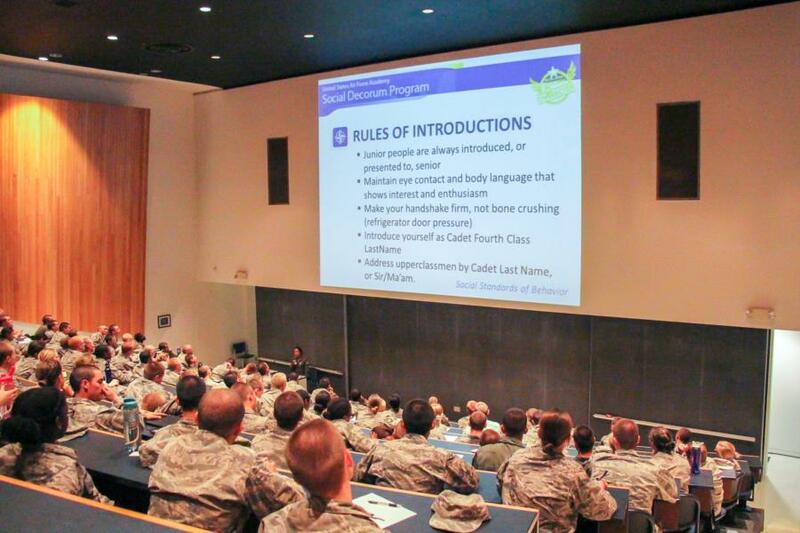 Throughout the Fall and Spring semester Cadets will participate in these Social Decorum Trainings, we will not be able to get coverage of every squadron but will stop by several times throughout each semester to give you a glimpse of what their learning or up to.